Are you behind in your mortgage payment? Have you been given a notice from your bank? 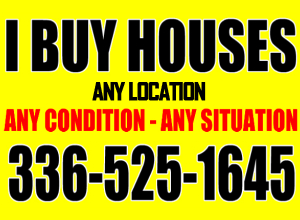 Stop Foreclosure In Virginia and let us buy your house fast. We can help to stop foreclosure from effecting your credit. We buy homes in all locations of Virginia and North Carolina. Let us help you prevent the bank and foreclosure ruining your credit and let us buy your home. It may be possible to get you some cash in your pocket, pay the mortgage back payments and fees. If your not sure and too far in the process, we can still help. We may be able to negotiate with the bank on your behalf and still assist you with your possible foreclosure.